I've taken delivery of this 182k miler 944S 2.5 16v, one of only 207 on the road in the UK in 2015, the other 200 left are SORN. It was advertised as "in original condition" it certainly is and does look 30 years old but unmolested original condition. 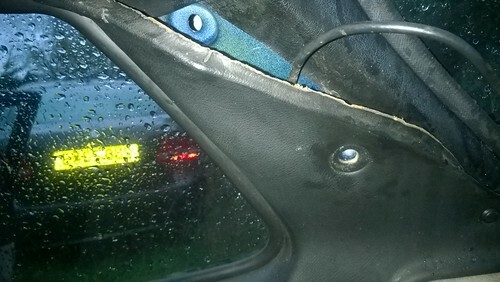 It was also advertised as rust free and when I inspected it, it was structurally sound and going through all the electrics, the only thing I found not working was the sunroof, although the motor is turning, usual suspects for this issue are the plastic gears. 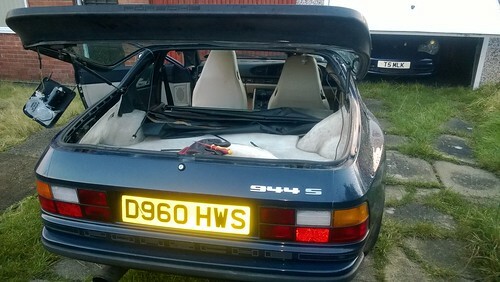 The paintwork is mostly original and looking oxidised in places with a few little dings all around, in pictures it looks fine but its not as good close up and the colour is not my favorite (2 Porsche's similar colours) and I'm considering a colour change whilst the opportunity is there, (Maritime Blue, Speed yellow) not sure how this will impact any values, not that they are huge anyway. I bought it on condition and having a top end engine rebuild in recent miles history and a cam belt change 12k miles ago the engine seems to run sweet with the gearbox also fine, main three goals being running gear, electrics and bodywork. The interior is not as good but I am probably being too critical, the seats are in good condition, the two front seats have been reupholstered but with a slightly different centre material to the rear seats and the rears seats have a cig burn, the whole carpets set needs a good shampoo but again it's mostly in decent condition apart from one rip on the front passenger sill. Wheel refurb required, looks like they've never been done. 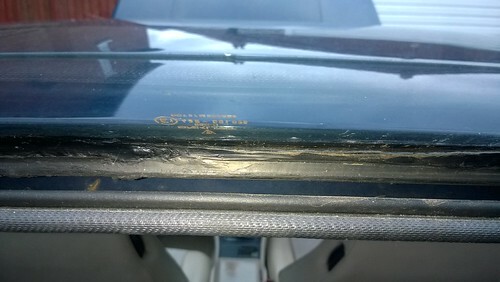 Rear hatch glass delaminating from the frame and seal not sealing. 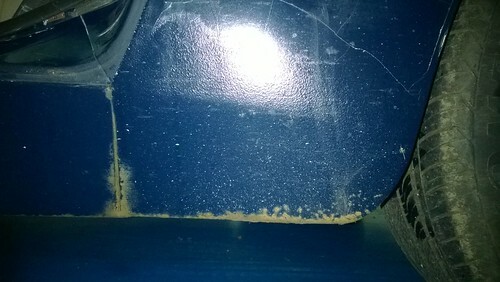 Surface rust on both sills and lower front wings. Various dash plastics cracked with some bits missing. 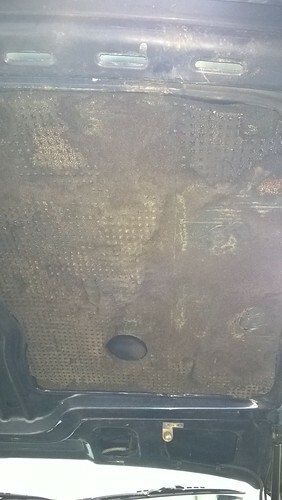 Under bonnet sound deadening crumbling onto engine bay and melting on manifold. 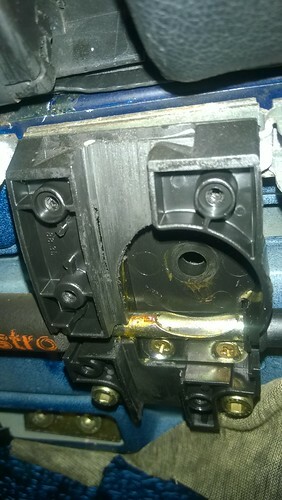 Power steering reservoir leaking and waterpump hose leaning on the chassis rail, assumed failed engine mount on the O/S. Stone guards all cracked, removal and replacement after paint. 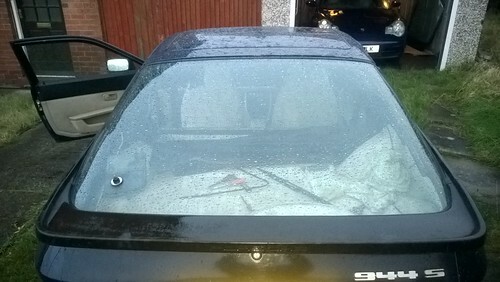 Original Ventiler airbox missing and some aftermarket cone filter fitted. Any tips, tricks or advice appreciated. There is a huge amount of info on the PGBOC and TIPEC forums. Eldavo is a contributer here and he has a 944 turbo that sees lots of track activity. The key issue from what you have said and shown so far is when the belts were last done. 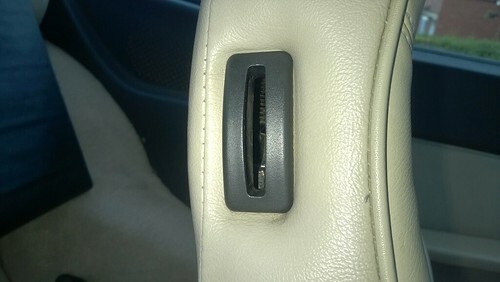 12K of miles is fine but if this was done 5 years ago it is simply not worth risking, just do it. If you are right that the engine mounting has failed, I understand it is not an easy diy job. 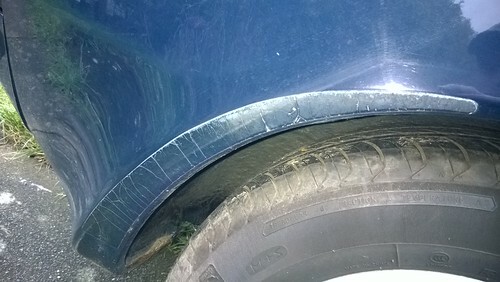 Your wheels look ok, do they need a refurb? Well done with the purchase, this should make a decent thread as your work progresses. I can imagine your predicament, lots of things you would like to do but a realistic budget can only be determined once you are aware of everything that needs to be done. My own budget was tripled but that was with a poorly turbo with sufficient margin on the purchase cost. Plenty to get your teeth into by the look of it but nothing too daunting.Remove the plastic vents in the B pillars and have a good look at the condition of the sills from in there.There are not many about that don't need work in that area. Belts are a piece of cake to do and should be done in any case as soon as possible. Belts are definitely on my "things to do" list, it was 12k miles but in 2006 and they fitted all new pulleys, I'm guessing the pulleys will be fine but the rubber belts may have gone so I'll replace both belts and check the cam chain guides, engine itself runs sweet as a nut but there is a vibration through the car also suggesting the engine mount on the O/S has collapsed. The history shows two random valve spring breaks 2 years apart and it looks like the belts broke in 2000 as there is a receipt for 10 valves and 16 valve springs among various other engine bits for a top end rebuild. 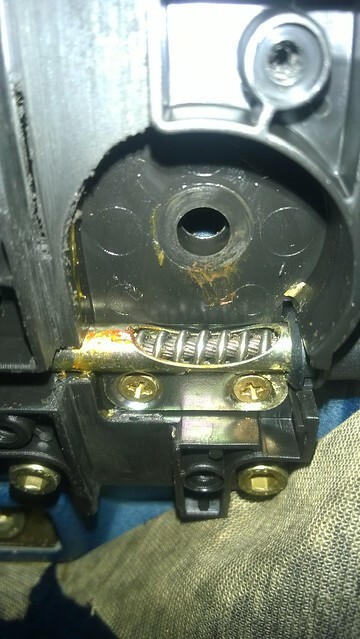 The vibration could be an engine mount but first check the balance shaft belt has been fitted properly to the correct markings.If its a tooth out you will get vibration. 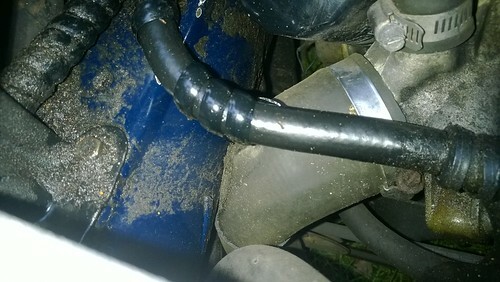 Agreed it could be the belt but the mount is sagging shown by the waterpump hose touching the chassis rails so I'll do the mount anyway as a matter of course then see if that clears vibration. Amazing the amount I have read/taken in on the 944, I feel like expert already and had some good progress already. 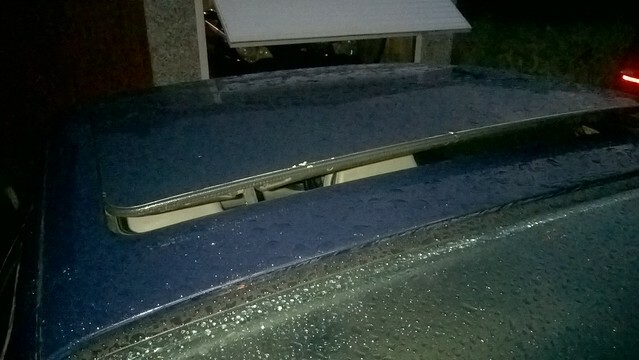 On Sunday I decided to swap the hatch for a better one that I picked up on ebay for £25, including spoiler, as the spoiler on the car was lifting slightly on the N/S and the original ones glass had also delaminated from the frame along with a few scratches on the glass. This took about an hour to swap over including the wiper motor. Took the wiper motor off first then the struts, let it back down to allow me to undo the 4 Allen head hinge bolts. And replaced, the hatch has threads for the lower section of the wiper motor so I'll need to drill two more holes to match. The seal has also shrunk and split in places so a new one has been ordered, you can see where it's been leaking onto the rear quarter card and mis-shaped it, new one of these required too. I had a go at the sunroof whilst I was in the mood. Good start! Are you an avid Clarks Garage student? Some excellent reading there. I may of seen a couple of those items whilst researching. The sunroof motor I could hear working but the roof didn't move at all, I suspected the plastic gears but on stripping the covers off the gears I saw the drive cable wasn't even visible. 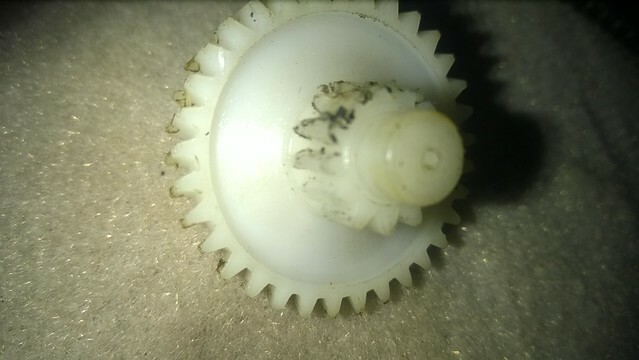 And the gears had stripped a couple of teeth. I wound the cable back into the runner from the motor as it was all coiled up behind the battery and fixed it all together and now I have a working sunroof. The system needs checking for drive as it was bottoming the runners out and stripped another couple of teeth on the drive gears. Got new gears on order and will check the three solenoids to let me calibrate the system properly. But its now working as long as I'm careful with the switch. Looks like you're in for some fun Chris. Sorry for all the updates, I've just been busy on it whilst I've still got the enthusiasm. 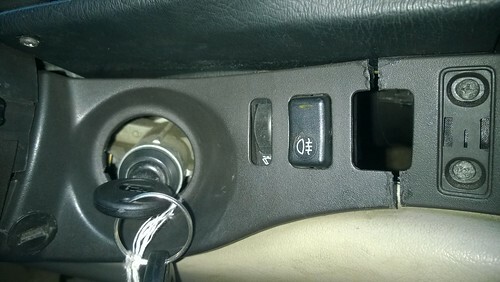 Today I fixed the glovebox lid that was out of line and fitted a missing 15A fuse to get the only electrical items that weren't working, the cig lighter, interior lights and hatch release, they all work now. 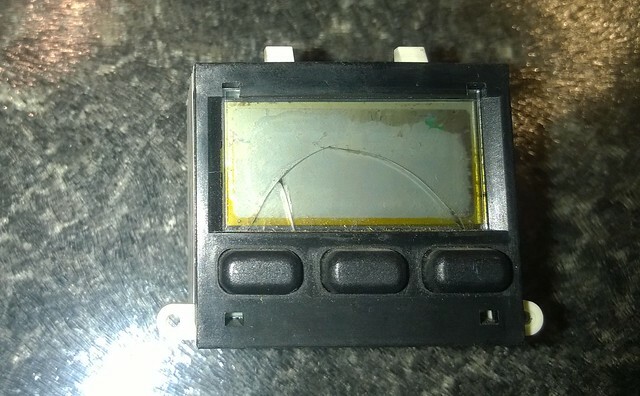 I also stripped the digital clock down as I'd ordered a new LCD display, the screen was cracked and the display was dead so I cleaned it all up ready to go. No apology needed, every item you have posted is relevant and of value to anyone in a similar predicament. This is exactly how Clarks Garage was started in the USA. I can only encourage you to carry on with this style of thread, top value! All the interior plastics are available new from Porsche and for probably far less than used parts on eBay. 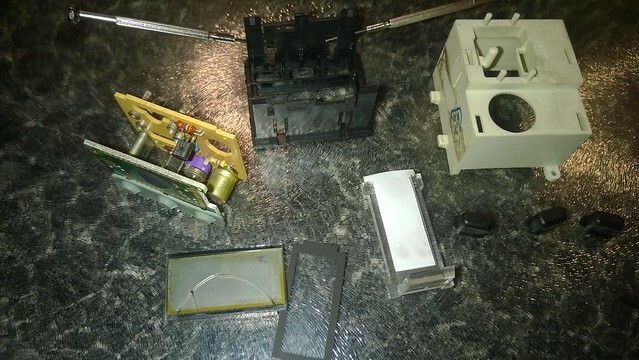 About £200 to replace the lot with brand new if you so wished - new parts are black though and will show how brown and faded the old ones have become. 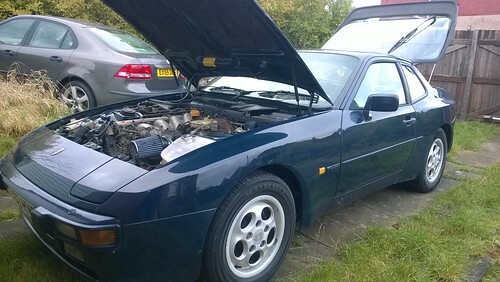 I changed both engine mounts on my car in the garage on axle stands, there is a write up on the PCGB website on doing it - it is different to Clark's in that you remove more bits first but is much easier and probably time-equivalent. 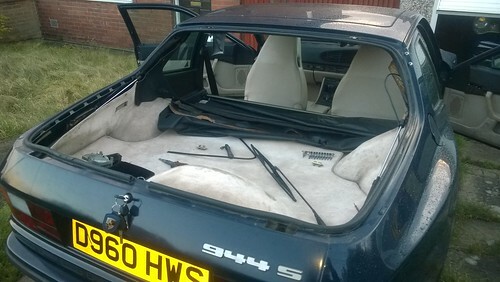 The sound deadening was dropped on the later cars, so remove it completely. It makes a hell of a mess though so consider removing the bonnet and working off the car. Oooh Chris, I thought you'd be along with a project before long! Looks the same blue as your 996? All the interior plastics are available new from Porsche and for probably far less than used parts on eBay. I've gone for used items in the end as OPC didn't get back to me and I've now found out why they had cracked, update later. I've ordered one for the collapsed side but maybe I should do both, I won't be doing this job until next year. That stuff is crumbling to dust, not looking forward to getting to grip and removing it all. This is something I've not researched as yet and I know nothing if re-indexing the torsions, so I may be in touch. It's took longer than I expected but I got something in the end. The colour is a similar shade to my Lapis 996 but nowhere near as good looking, this is almost Navy blue and a little boring, I'm considering a colour change as the internal panels seem to be in really good clean condition and it wouldn't take much to change the colour. I'll paint the internal panels myself then prep the external and prime before sending it off to get done locally. 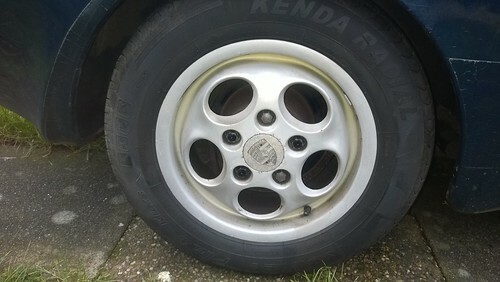 Tyre's are a mixed bag, the fronts are summer Khumo's and the rears are Winters of unknown name, they are all good condition and tread but will be going on ebay and will be replaced by something a little more familiar. That looks like a whole bag of fun Chris. Good luck with it, I'm looking forward to reading about your adventures. You can download the exploded parts diagram from Design911's website after entering your email address. Then use the Fast Part Finder on their website to get a there or thereabouts OPC price - some will pleasantly surprise you, some will make you gasp in shock! Quicker and easier than waiting for them to get back to you about every part requirement. EDIT, I've looked but can't find anything, I'm already registered with them but unable to locate any parts diagrams for the 944.